CBI sources revealed that Kumar has been asked to appear before the investigative agency for questioning again on Sunday, February 10, to get more details on the investigation that was carried out by the Special Investigation Team (SIT), headed by the top cop. 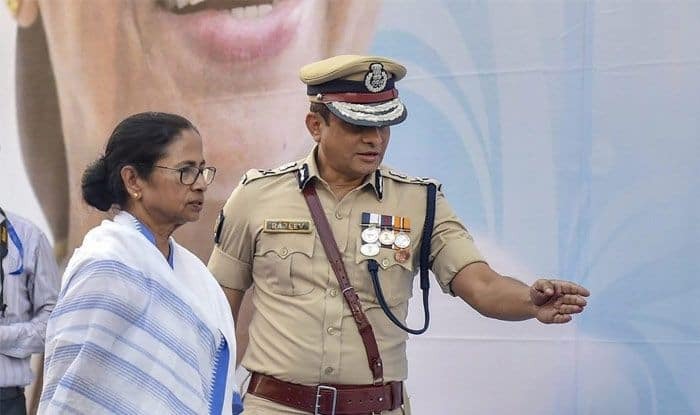 Kolkata: After being grilled by the Central Bureau of Investigation (CBI) for almost eight hours in connection with the Rose Valley and the Saradha Chit Fund Scam, Kolkata Police commissioner Rajeev Kumar will be questioned yet again on Sunday. CBI sources revealed that Kumar has been asked to appear before the investigative agency for questioning again to get more details on the investigation that was carried out by the Special Investigation Team (SIT) headed by the top cop. Kumar was questioned by the special team of ten officers constituted by the CBI. Reportedly, a 22-page questionnaire was prepared by the agency to grill him. In line with the Supreme Court’s order, Kumar was asked to appear before the CBI at Shillong – a mutually accepted location by both Kumar and the CBI. This apart, former Trinamool Congress (TMC) MP Kunal Ghosh will also be questioned by the CBI officers in Shillong today, February 10, in connection with the Saradha Chit Fund Scam. “Ghosh has on several occasions claimed that Kumar had tried to influence the investigation. We may make Ghosh and Kumar sit face to face for questioning today,” said a CBI officer on the condition of anonymity. The Kolkata Police commissioner had arrived in the capital city of Meghalaya on Friday along with his lawyer Biswajit Deb and two other IPS officers – deputy commissioner of Kolkata Police (Special Task Force) Murlidhar Sharma and Additional and Joint Commissioner of Kolkata Police (HQ) Jawed Shamim. He stayed at a heritage hotel _ Tripura Castle _ in Shillong. He reached the CBI office in Oakland at 11 AM and left it at 7.15 PM. A team of CBI officials had also started arriving Shillong from Friday. The team led by a DIG rank officer Vivek Dutt, several SP, additional SP and Deputy SP rank officers questioned Kumar. The CBI had issued an order dated February 6, 2019, asking ten officers to join the Kolkata unit with immediate effect and be prepared to stay with the team till February 20. The Supreme Court had, on Tuesday, directed Kumar to appear before the CBI in Shillong in connection with the two scams. However, the court had also said that the CBI cannot arrest Kumar. The CBI had alleged in the apex court that Kumar had tried to tamper the evidence while investigating the case when he was heading the SIT. A political slugfest began last Sunday after the CBI officers had reached Kumar’s residence in Kolkata. The CBI had claimed that they were prevented from meeting the commissioner and forcibly taken to the Shakespeare Sarani police station by Kolkata Police and detained later. However, Kolkata Police had ruled out the allegations of detaining CBI officers. “This is unprecedented. We have never faced a situation of this sort before. We were prevented from doing our job,” CBI DSP Tathagata Vardhan had said outside the police station. Bengal Chief Minister had immediately reached Kumar’s residence and announced that she will stage a ‘Satyagraha’ on the metro channel. The ‘Satyagraha’ went on for almost 40 hours before she finally decided to call it off after Supreme Court had passed its orders preventing Kumar’s arrest.